We’re keen to get out and about to meet and chat to pharmacists, trainees and pharmacy students and to raise awareness of the support available through the charity. 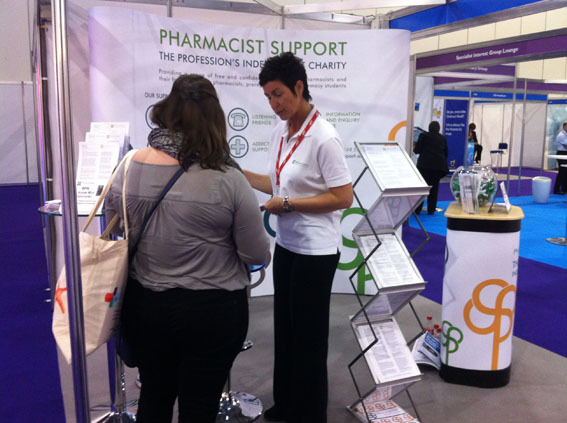 April is a busy month for us, kicking off with the GHP & UKCPA Conference April 4-6th, taking us down to Leicester for the BPSA Conference on April 17th and onto London for the Clinical Pharmacy Congress April 25-26th. Do swing by the stand for a chat if you are attending any of these events and get in touch if you have an event of your own you’d like us to come along to or present at.